1).When EMI will become marketing tool? e) It has no role as a marketing tool. 3).Buyer resistance in a sales deal can be overcome by means of? 4).___________is known as the best, important and central activity of business? 5).Who is the target group for Home Loan? 6).What is mean by Delivery Channels? 7).The process of providing offers related to customers buying history is known as? 8).The process of selling is different from marketing and aims at profit maximization through______. 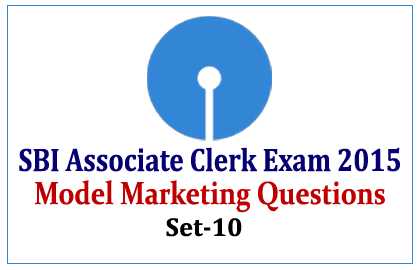 9).What is the name of the segmentation that was based on the gender of the customer? 9).To do mass communication with the potential customers, usually through paid public media which is known as_______.